In and around Bath, there is a constant battle between two local breweries. On the one hand there is Bath Ales, and on the other, Butcombe Brewery. A rivalry spanning back a few years, many a keen Butcombe drinker has challenged a Bath Aleite to a fight to the death, or vice versa. Really, it is quite intense. Farmers, pitchforks, alcohol. Nasty. Approximately 4 years ago, to stage one last assault on the Butcombe battleship, Bath Ales made one of the greatest business decisions in history,they hired me! Yes that is correct! I was appointed as a rear gunner for 'The Loyal Hare Force!' 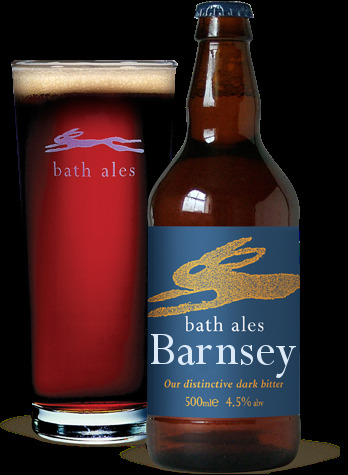 (Named so due to the Bath Ales symbol being a Hare, good eh?). Right, enough of the history lesson, what makes Bath Ales so damn good?!? Gem- Their best bitter and unsurprisingly, their number 1 seller. Made from a beautiful combination of floor malted Maris Otter barley and Goldings hops this ale has a perfect partnership of bitterness and sweetness, leaving a long, hoppy finish that is perfect after a long walk or a day in the fields. Goes fabulously with pies and other traditional English pub foods this beer is widely available in the South West, and is a regular guest ale around the country. A great taste of the South West and a Bath institution. 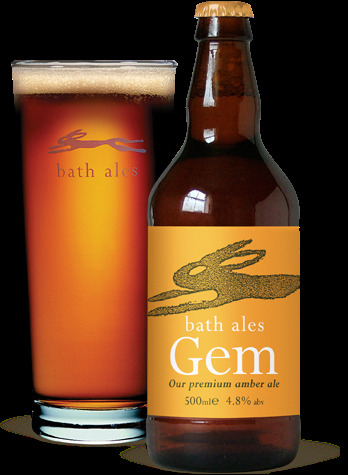 Also, check out BeerGogglesReviews' take on Bath Ales' Gem! I could watch him for hours! Barnsey- (Formally Barnstormer) Their signature dark ale, a mix of Maris Otter, Chocolate and Crystal Matls gives this ale a dark chocolate, fig and caramel taste on the palate. On the low side with weight of bitterness, this slightly sweeter dark ale keeps it smooth, complex and incredibly satisfying. My regular drop whenever in a Bath Ales pub. And again, BeerGoggles! 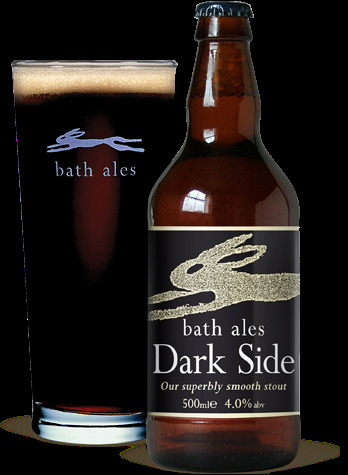 Dark Side- Bath Ales' own signature stout, it kicks any other, especially Guinness, right out of the playground. The first time I tried it, I knew I would be hooked. In the glass it is exceptionally dark, with a smooth almost cedar coloured head. It has aromas or rich coffee and chocolate and despite only being 4%, sends off a head spinning aroma. On the palate it is bold with intense roasted malt flavours with a refreshing coffee and roasted nut undertone. The stout has a light spritz leaving the flavours buzz around your mouth to create a long lasting finish. If, like me, you're a fan of dark ales and stouts, this really is a winner, especially as it is getting closer to Winter! All these beers are readily available from the Bath Ales Website, but can be bought at retailers across the country including a mixed case of Bath Ales at Majestic. Their range is extensive and has quality across the board, so I strongly urge you to jump on the ol' tractor and give them a go! All of their pubs also serve up mouth watering pub food, and have recently opened a stunning new Chop House in Bath! Check it out! P.s. I feel I should say, despite having working for Bath Ales and taking their side in the 'Battle of Bath', Butcombe still do fabulous beers! They even have one with my name on it, LITERALLY! So check them out too! !